BlueWorks proprietary high-tech Sewer Line and Storm Drain Inspection equipment can Televise & Expose: Sewer Piping, Storm Piping, Mechanical Piping & any other piping as narrow as 1.5 inches in diameter. Internal Pipe Inspection properly identifies piping problems and configuration taking the guesswork out of Plumbing Repair. 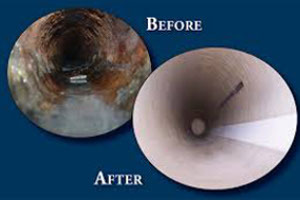 Different pipes require different methods: Sewer Drain Cleaning is not a “one size fits all” scenario. Different Piping Mediums require different systems and equipment, specifically Vertical & Horizontal piping. 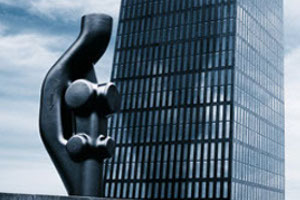 Cast Iron Piping in a High-Rise is not cleaned the same way the Clay Piping in the front yard of a Signal Family Residence. 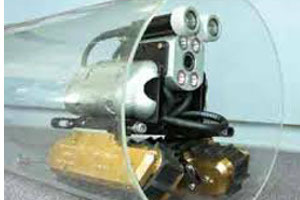 Trenchless sewer pipe repair involves fixing a damaged or deteriorated pipe using a no-dig trenchless repair method. This type of pipe repair technology has significantly advanced in recent years, allow for a greater range of different types of pipes and materials to be repaired than ever before. 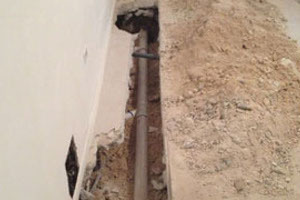 Trenchless pipe repairs are safe, convenient, fast and often lower in price than traditional repairs. 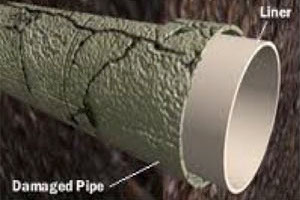 Using Cured in Place Pipe (CIPP) Pipelining, it is no longer necessary to dig underneath your buildings foundation, parking lot, garage, sidewalks or cut into condo walls to repair your building or condo associations plumbing. We can fix sewer, drain and water plumbing pipes without disturbing your residents or creating unneeded property repairs to the condos structure or landscaping. BlueWorks knows how to replace your property’s sewer system without any un-necessary destruction and in many cases, using a combination of Pipe Lining & Plumbing Replacement to prevent future issues. 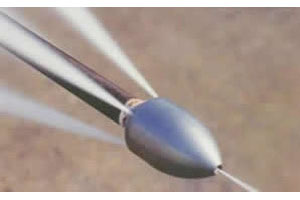 Most sewers drains are replaced by the open-trench method. While other companies may use damaging techniques, we hand dig or vacuum our sewers to avoid damaging your property and underground wires. That is the Blueworks difference. The Sovent system is a patented single-stack drainage system that substantially improves the performance of a soil and waste drainage systems and allows the drain, waste and venting to be accomplished through a single stack. The system is particularly effective in buildings that are more than five stories high, creating considerable cost savings as well as enhanced drainage performance.